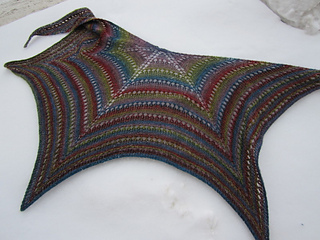 adjustable- example is shawlette but can be made to fit the amount of yarn you have. 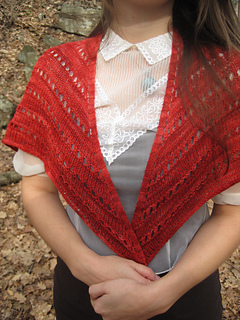 this little shawlette is a sweet accessory- perfect for a valentine’s date. 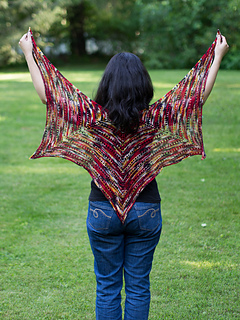 it is an extremely versatile pattern and can be adjusted to be made even bigger and to use up all your yarn- no leftovers here. in addition, it can be made with other weights- just use a needle that gives you the fabric you want. passione amorosa is inspired by the giovanni bottesini double bass piece by the same title. 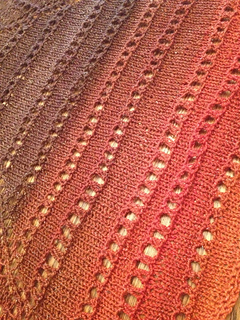 the unique raglan shawl shaping gives you a little hug back as you wear it, and the eyelet row surrounded by a garter ridge gives the simple piece some light. an i-cord cast-off is used to give it a firm but stretchy edge. edit feb 9 2012: row 6 in the raglan set up chart should read as Row 6 (WS): k4, sm, p til last marker, sm, k4. updated pdf is corrected! 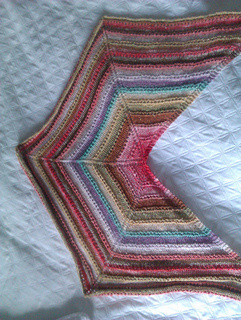 edit feb 18 2012: version 3 is up and corrects row 5 in the eyelet pattern! that stitch between the two stitch markers is knit! thank you to bummble for catching that!